Frank Bodenhage (43) has been appointed President and CEO of MTU Maintenance Zhuhai, effective May 1, 2012. He takes over his new role at the helm of the joint venture of MTU Aero Engines and China Southern Air-lines from Holger Sindemann, who will become the new Managing Director and Senior Vice President of MTU Maintenance Hannover, based in Langenhagen, Germany. Bodenhage, a graduate engineer, joined MTU Maintenance Zhuhai in 2006 as Chief Operating Officer. Before that, he had served in various manage-ment positions with MTU Maintenance Hannover for three years. 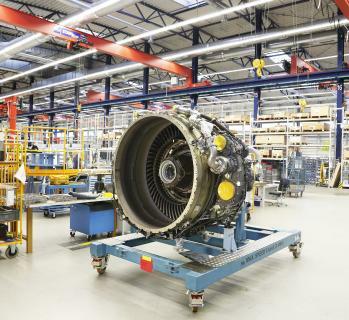 MTU Maintenance Zhuhai specializes in V2500, CFM56-3, -5B and -7B en-gines and is the largest maintenance facility for commercial aircraft engines in China. MTU Aero Engines is Germany's leading and the country's only independent engine manufacturer. In fiscal 2011, the company had a work-force of some 8,200 employees and posted consolidated sales of more than 2.9 billion euros. A global player and technology leader, MTU excels in low-pressure turbines, high-pressure compressors, manufacturing and repair techniques. In the military arena, MTU is Germany's industrial lead company for practically all engines flown by the country's air force. MTU Maintenance is the world's largest independent provider of commercial engine mainte-nance, repair and overhaul (MRO) services.